Forget crowd-funding, startups are now turning to crowd ownership campaigns. 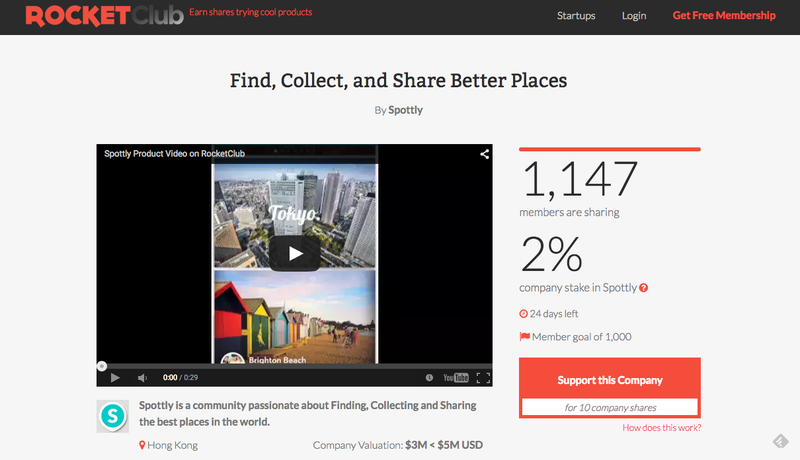 Hong Kong-based travel startup, Spottly, is currently running a crowd ownership campaign on RocketClub, a platform offering startup shares, to offer a 2% ownership stake in the company to its user community. Last weekend, it became the first company to reach its initial goal on the platform of 1,000 supporters. The campaign began about a week ago, and it currently has 1,147 users sharing the offered 2%. To reward early signups, the first 1,000 members will share a 1% stake in the company, while the next 5,000 members will share the other 1%. 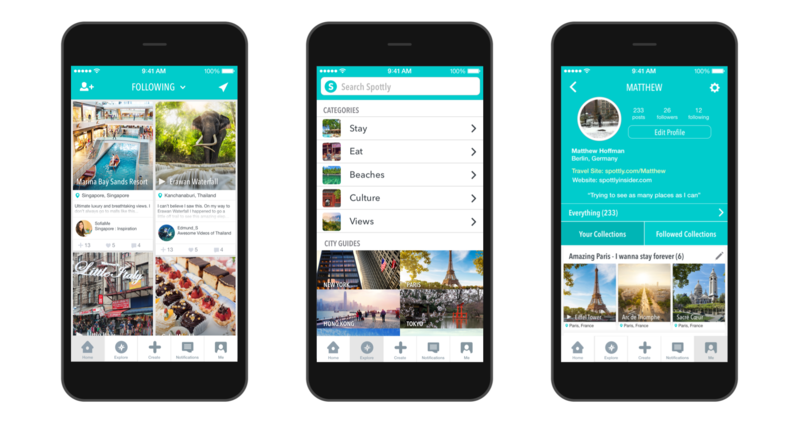 In exchange for the shares, Spottly is looking for people to use and promote their product. To get hold of 10 shares, for example, members will need to post 4 spots — or places — on the app each month for 6 months, complete a feedback survey, and refer 2 friends to the app. It’s not much to users, who are keen to grab a piece of the company. But as they wrote on their website: Spottly needs your help, not your money. It’s definitely a new way to grow a community, and it isn’t the first time Spottly has offered their shares up for grabs. According to Chan, they’d opened up 1000 slots to users before this RocketClub campaign, and all were eagerly snapped up. The campaign is still running, and with 24 days left, it seems that Spottly’s community of users still has room to grow. Perhaps crowdfunding is on its way out, and crowd-equity and crowd-ownership options are on their way in. Take out the fun gifts and gadget promises, and throw in some shares — that’s where the trust really lies.